Jon is a member of the Institute of Chartered Accountants in Australia. 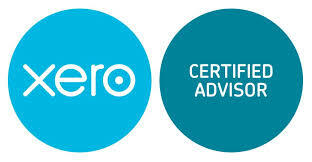 He is also a registered company auditor, a registered Tax Agent and a registered selfmanaged superannuation fund auditor. Jon’s focus is to work with clients so their business and personal wealth is maximised. Suzanne started working with APL Financial in 1999 with 10 years commercial experience and is a Certified Practising Accountant with over 20 years’ experience in the Tax and Accounting industry. Suzanne can assist with your business management and taxation needs. Suzanne oversees the Administration Section at APL Financial to ensure you receive the highest level of customer service at all times. 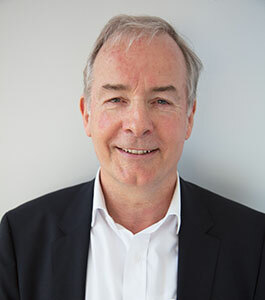 After completing a Bachelor of Commerce from Melbourne University in 1982, Rohan worked for accounting firms where he qualified as a Chartered Accountant. In 2000 he decided to concentrate on financial planning and joined a practice specialising in self-managed superannuation funds while completing his Diploma of Financial Planning. In 2004 he purchased a Financial Planning business in Boronia and became an Authorised Representative of Count Financial Ltd. He is a Certified Financial Planner, member of the SMSF Association and the Financial Planning Association. Rohan’s specialty areas include: wealth building, tax minimisation strategies, wealth protection, aged care, estate planning and self-managed superannuation fund investment advice. Lucy joined APL Financial in 2017, working part time as she finishes her law degree (LLB (Hons)/Bcom (Accounting)) at Monash University. She assists senior staff in the preparation of tax matters, audits and financial statements. Having previously worked as a paralegal she also has experience with the LIV trust accounting software. Peter joined APL Financial in 2005 and is a Fellow of the Institute of Public Accountants (IPA) with over 15 years’ experience in Tax and Accounting. Peter specialises in Income Tax, Fringe Benefits Tax, GST, Accounting and Audit. Peter can assist with IT recommendations and solutions as he holds a Bachelor of Science degree majoring in Accounting and Computer Science. Client Services & Compliance Coordinator. Kellie joined APL Financial in 2009 with over 10 years’ experience in financial administration, marketing and office management. Kellie is responsible for all Client Compliance work, the day-to-day management of our Trust account, and all marketing, website and business development. Mary has been with APL Financial for 6 years with over 10 years experience in book-keeping and office administration to assist with the day-to-day management of our accounts. Thomas has completed a Bachelor of Business (Accounting) and has worked in the banking & finance sector for seven years. Thomas started with APL in 2017 and assists the financial planning team with daily duties and helps to manage the team’s workflow commitments. Pat completed her initial studies in 1994 and majored in Business Law and Banking Finance. As well as Pat’s broad knowledge on trusts, companies and partnerships she has specialists knowledge in all areas of self-managed superannuation. Kathy completed her initial studies in 1975 while working with Charlwood Partners Chartered Accountants and became a registered tax agent in 1983. Kathy also worked in Coopers & Lybrand business advisory, corporate and personal taxation division for over 7 years. When Russell Clear left Coopers & Lybrand to set Up Coventrees Chartered Accountants in 1993 Kathy followed. Kathy was an integral part of the Coventrees accounting practice for over 22 years. 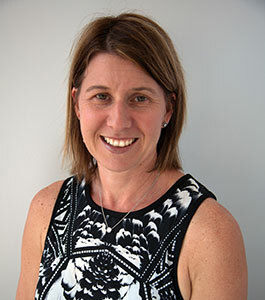 In July 2015 the Coventrees accounting practice was acquired by APL Financial Pty Ltd.
Meaghan has over 16 years’ experience in manufacturing and services industries in management accounting and financial accounting roles. Meaghan joined APL Financial in 2011 and assists clients in all areas of business with particular emphasis on cost accounting.